We are not only here to meet the storage needs of our friends in Troy, MO but also the needs of folks in the eastern side of the state and southern Illinois. 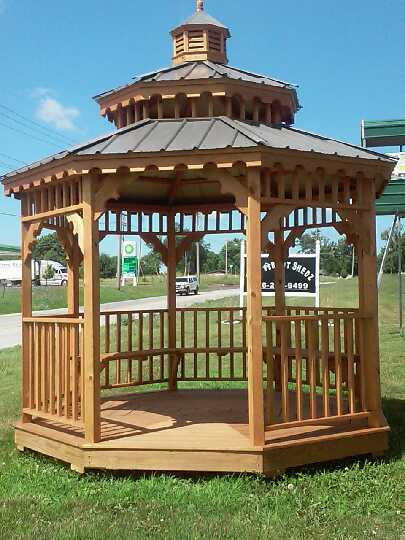 Our display lot has many samples of the types of buildings you can purchase or “Rent-to-Own”. Please keep in mind that this is only a sample of what we have to offer. Our buildings are built to exact standards to provide many years of good, sound service. They are portable so that you can take your investment with you if you re-locate or just re-arrange. Delivery and set-up is always free*. 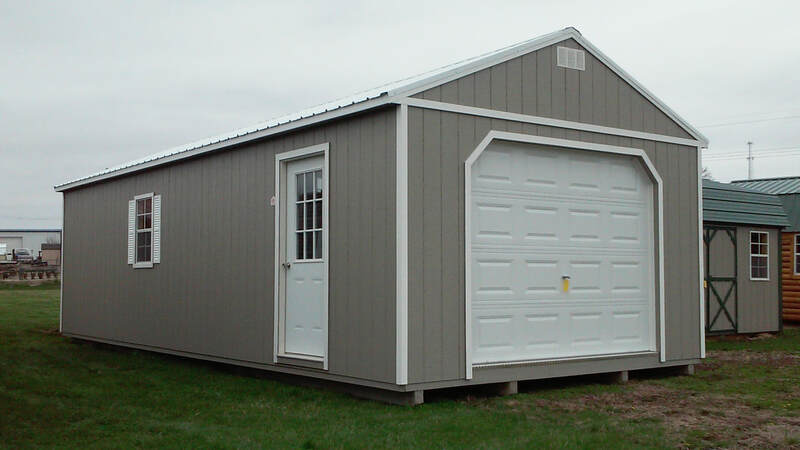 Not only do we have a host of standard shed designs, we also do custom buildings. We can also do “Build on Site” if necessary. Our buildings come in numerous styles and configurations with many options to select from. We offer 4 types of siding with numerous colors available. 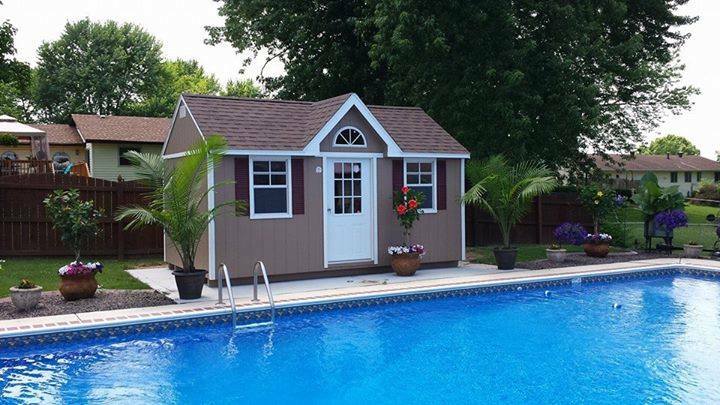 Choose between Painted LP Wood (50 yr. warranty), treated lumber, vinyl, and metal sidings. Choose from metal or shingled roofing. Other options include windows, shutters, ramps, vents, roll up doors, etc. 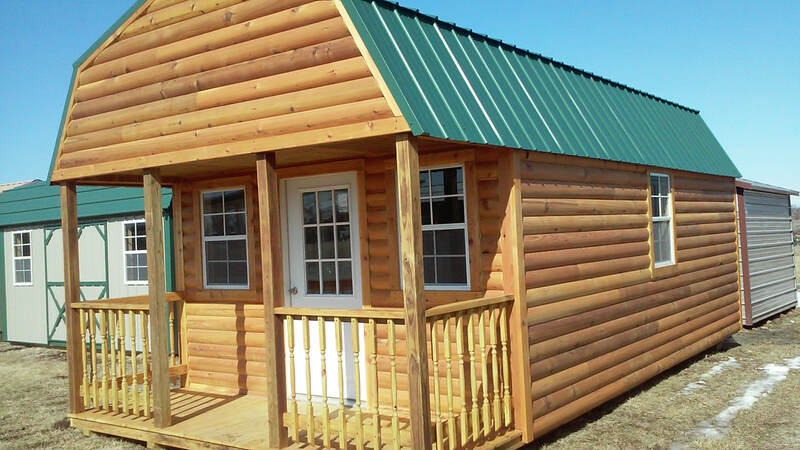 All of our portable buildings, are crafted in Eastern Missouri by Mennonite craftsmen. ​Another item you may be interested in is our Amazing Poly Furniture. 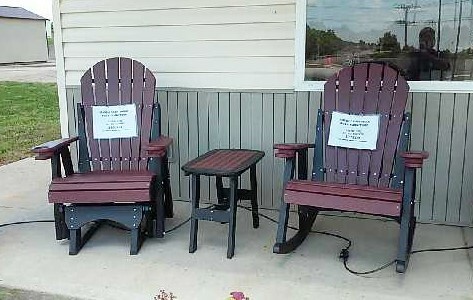 This Amish made patio furniture have a 20 year warrantee and is available in 25 awesome colors. It is designed to be left outside, uncovered, all year. It is heavy enough to not be blown around during high winds. We are also offering a discount of up to 10% and a 6 month, interest free, lay-away program. We have several items in stock. Please come by the display lot and experience the comfort and durability on this extraordinary furniture. ​We also offer up 18 month 0% interest credit card to assist if you need financing. 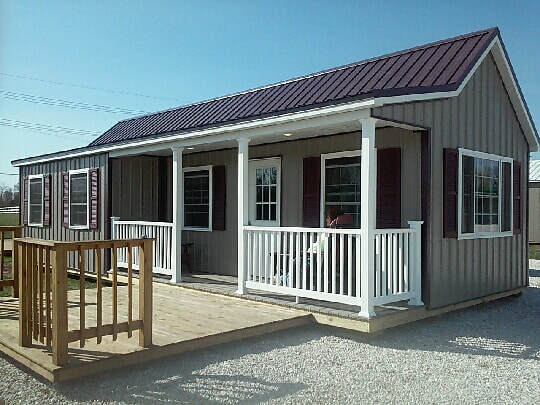 Our “Rent-to-Own” project allows the buyer to purchase a portable storage building with minimal out of pocket expense and reasonable monthly payments with no credit check. This is an open ended agreement that provides total ownership in 36 months or less.